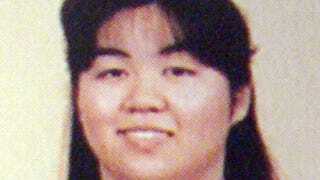 Kanae Kijima, 37, met her victims online. She picked lonely nerds. She took their money, and then, she killed them. Yet, as horrible as Kijima was, she supposedly has a group of female admirers. They're called "Kanae girls", and according to Japan's Shukan Bunshun, they have been "conspicuous in the courtroom". One Kanae girl apparently told Shukan Bunshun, "Men being taken in by a woman like Kijima give me a kind of satisfaction. Serves them right." Oh. Fans of criminals are not a Japan-only phenomenon. The U.S. has seen plenty of this twisted celebrity culture. Heck, Quentin Tarantino wrote a movie about it. Moreover, these "Kanae girls" are hardly mainstream. They do seem to enjoy the power Kanae, who is hardly considered attractive in Japan, wielded over men. "I've been trolling marriage sites for a year without meeting anyone worth meeting," a 30-something year-old told Shukan Bunshun. "I thought I could learn something from her. Also, I wanted to know the psychology of men who could be so utterly taken in."